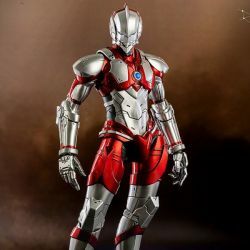 Ultraman Suit Anime Version ThreeZero : 1/6 action figure of Ultraman as seen in the Ultraman anime. Manufactured by ThreeZero. What is in the box of Ultraman Suit Anime Version ThreeZero ?